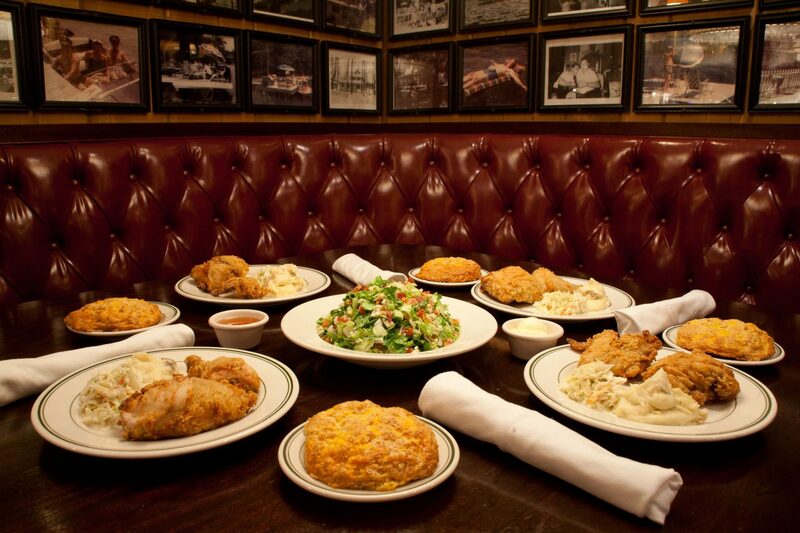 Fact: there’s never a bad time for fried chicken. Grab it on your way to the beach, order it up for a rooftop party, have it delivered straight to your couch, even alongside Champagne, whatever the occasion is it’s sure to be a crowd-pleaser. 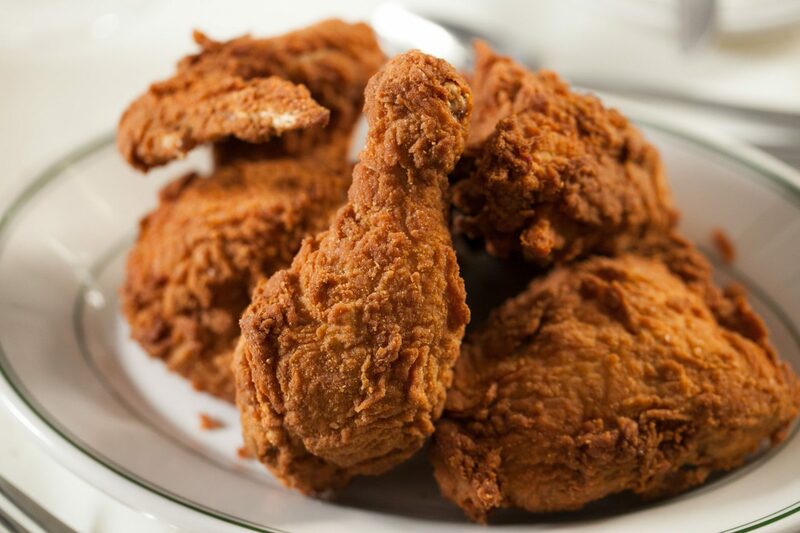 Joe’s Seafood fried chicken – one of its best kept secrets! 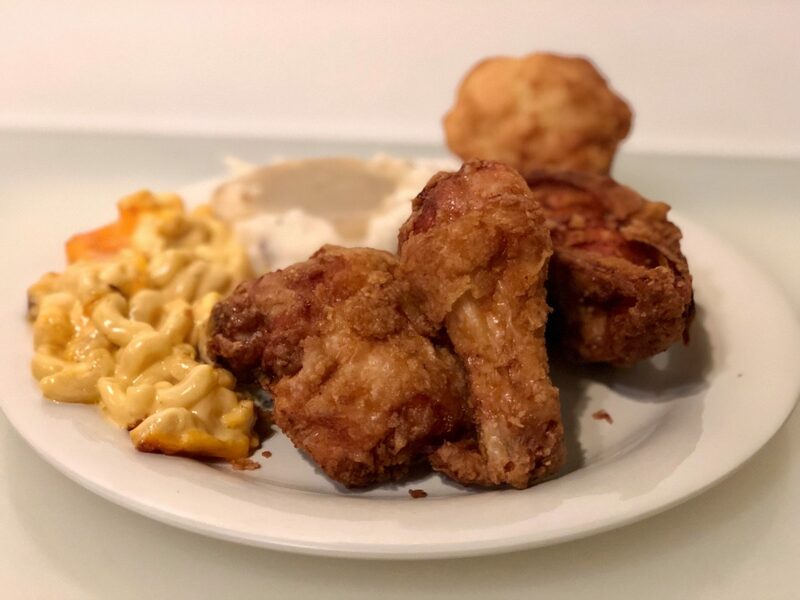 Joe’s Fried Chicken – features a half chicken dredged in seasoned flour and a secret cracker meal coating (this has been known to be one of the best in the city, FYI!). Make a reservation: Chicago, DC and Las Vegas. 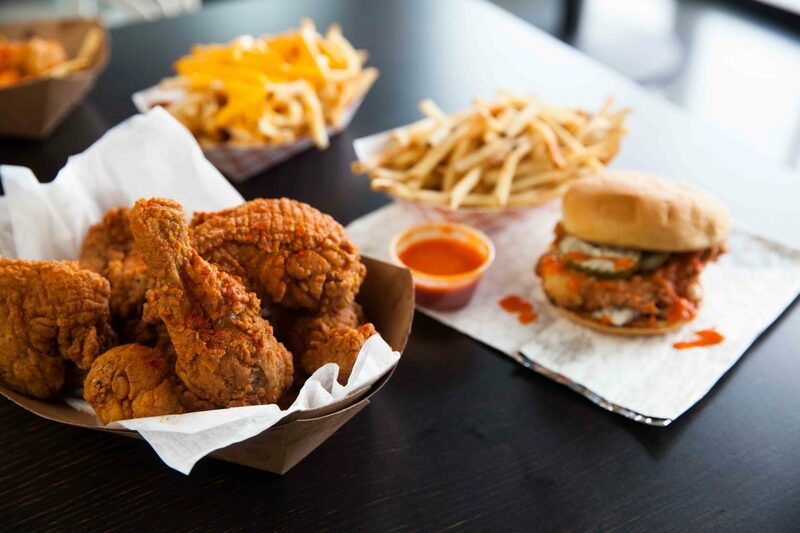 Big City Chicken specializes in fried chicken, from on a bun to classic fried. 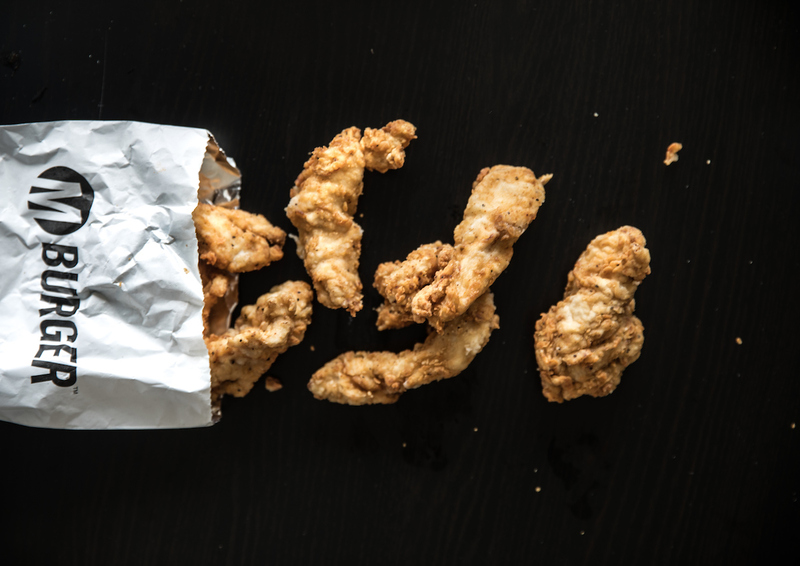 Big City Chicken offers crispy, golden brown fried chicken three ways: Chicken Strips, available in Original or Spicy, in a Sandwich, with options of Original Crispy, Hot & Spicy or Crispy BBQ, or with all of the above options By-The-Piece! 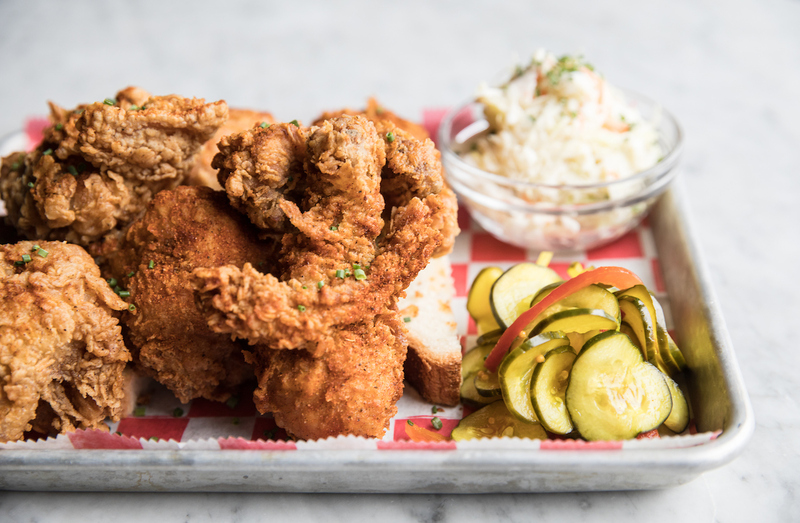 Bub City’s Southern Fried Chicken is dipped in buttermilk and secret spices, fried and offered in Original, Buffalo or Nashville Hot. 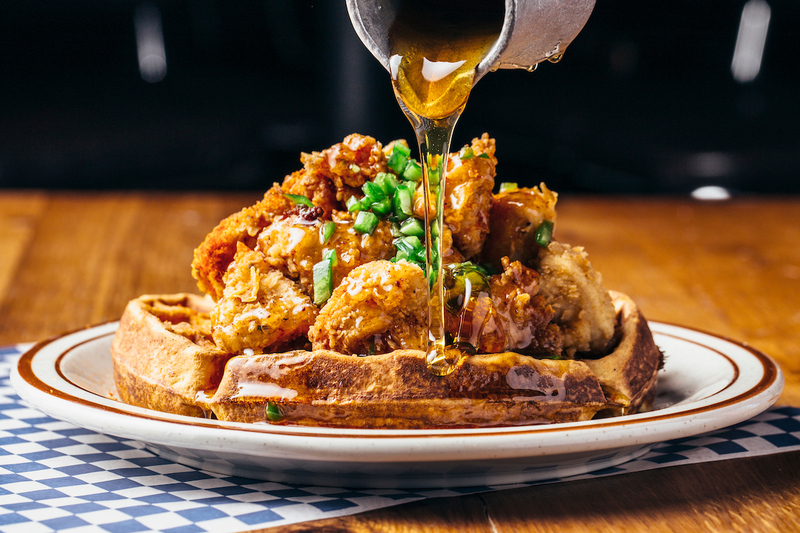 It’s also available atop a waffle with bacon-jalapeno honey and country gravy during weekend brunch. Make a reservation: River North and Rosemont. 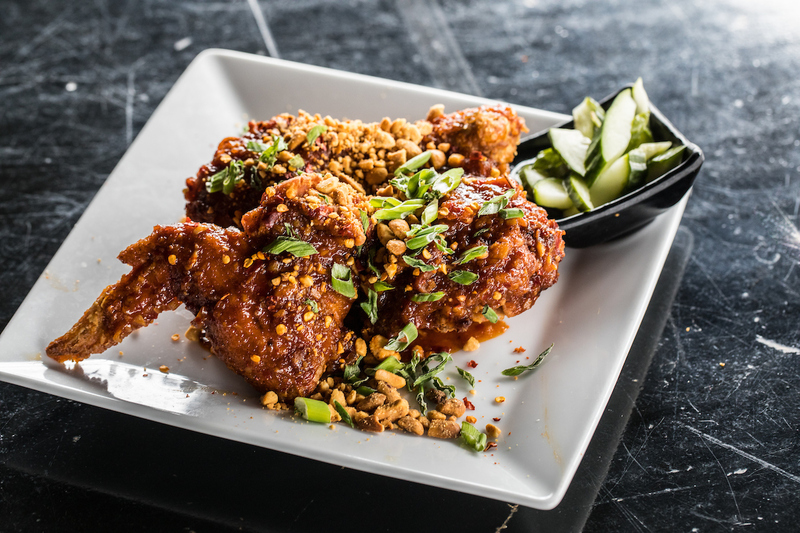 Head over to the Chicago suburb of Schaumburg for the city’s best Asian-influenced fried chicken at Tokio Pub. The Pub’s Original Fried Chicken with kung pan chicken tossed in a chili-ginger sauce and topped with chopped peanuts and chili flakes. Make a reservation here. 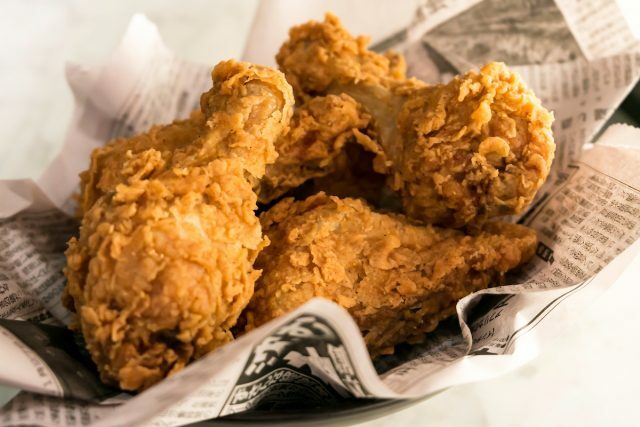 Hub 51’s Dixie Fried Chicken boasts a combination of 12 herbs and spices to give it the perfect seasoning! 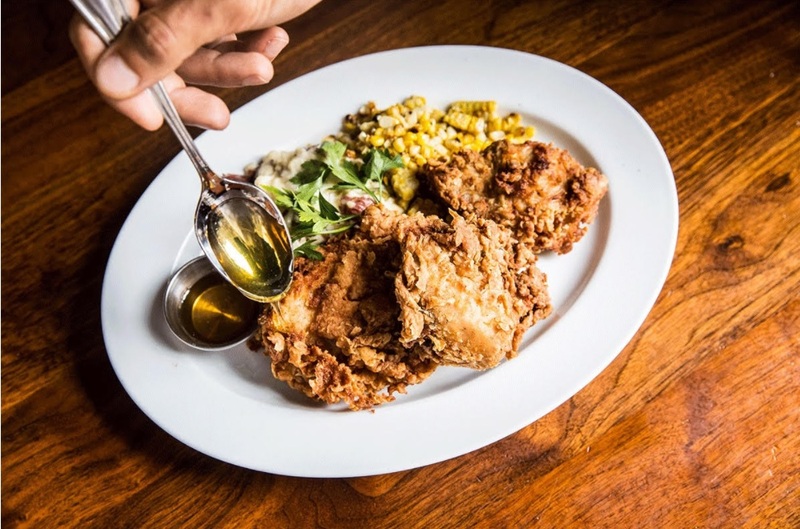 Dixie Fried Chicken with 12 not-so-secret herbs and spices. Make a reservation here. 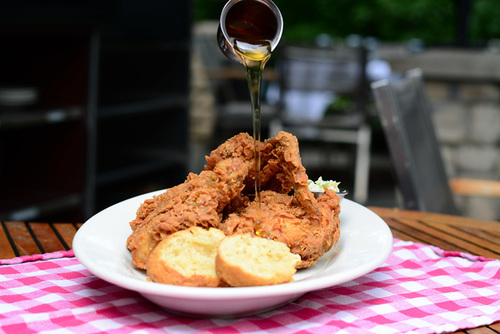 Head on over to L. Woods for a classic Buttermilk Fried Chicken. Buttermilk Fried Chicken with a biscuit, mashed potatoes and housemade coleslaw. Make a reservation here. 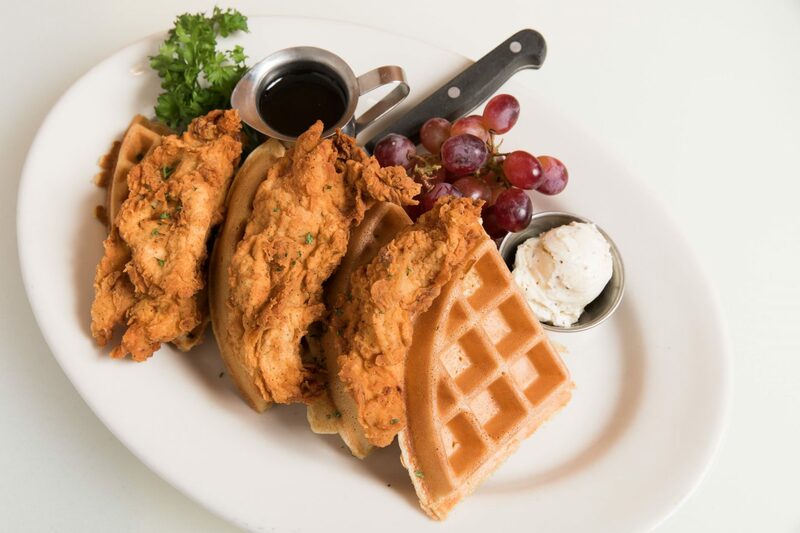 Crispy Chicken & Waffles with chicken tenders honey butter and maple syrup. Make a reservation here. Southern Fried Chicken with coleslaw, redskin mashed potatoes, mushroom gravy, a homemade biscuit and grade “A” honey. Make a reservation: Chicago, Glenview, Lincolnshire, Oak Brook, Schaumburg| Eden Prairie, Mclean. Cafe Ba-Ba-Reeba! 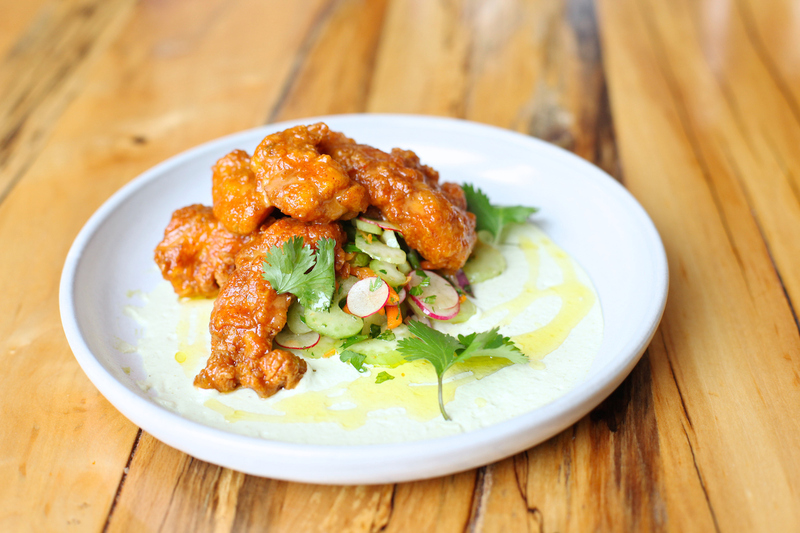 offers a Spanish-influenced fried chicken that boasts a piri-piri sauce. Buttermilk Fried Chicken Thighs with piri-piri sauce and a shaved vegetable salad. Make a reservation here. Three-Piece Fried Chicken and two sides. Prefer it between a bun? We’ve got that too! Take a look at all of our fried chicken sandwiches.